At this time, AOL does not allow image links in the body of emails. If you use AOL as your email server, follow the instructions below to add a direct link to your Video Line in a blank email. View after logging in to your AOL account. 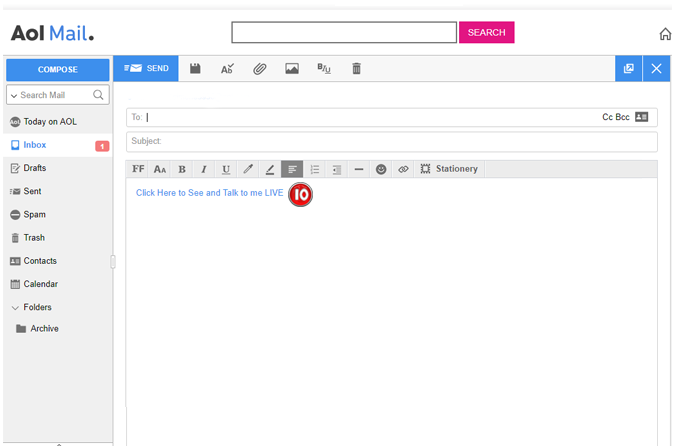 A blank email page will be displayed. After click on the Link Button a popup box opens. 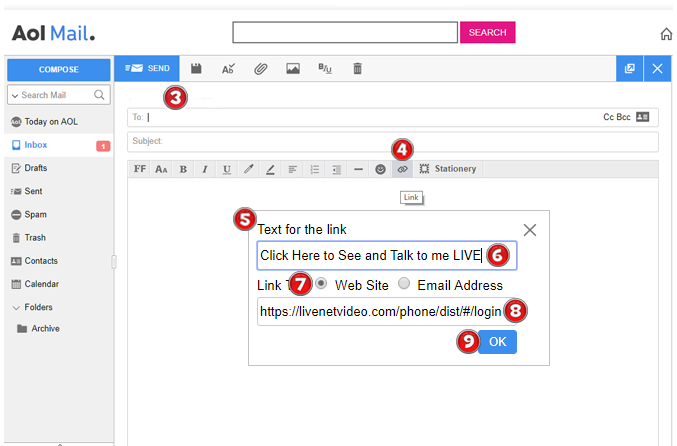 In this field, type the text you want to appear for the "LIVE" link connection. Click the button next to Web Site. Copy the link from your profile page on Live Net Video for your Live Connector and paste it here. If this is for a Company PBX Extension Line, copy the link from the specific Extension and paste it here. Once you’re finished, click the Ok Button. The link will appear in your email. All the recepient of the email has to do is click on the link and you’ll be connected in a Live Video Conversation.